Warren Buffett is “everyman" as multibillionaire. Despite his vast wealth, he has always eschewed ostentation. He pays himself about $100,000 (about Rs49.8 lakh) annually, which, in today’s US economy, places him in the upper middle class. He lives in the same simple Omaha, Nebraska, house that he bought in 1958 for $31,500. He prefers an old grey suit to expensive London tailoring. In Buffett’s early days, when he was only a multimillionaire and not a multibillionaire, he walked around with holes in the soles of his shoes. To Buffett, wardrobe doesn’t matter; what matters is making money. He is better at this pursuit than anyone else in the world. In 2008, Forbes ranked him as the globe’s richest man, with a net worth of $62.3 billion. Author Alice Schroeder does a masterful job of chronicling Buffett’s improbable, inspiring life. To build his enormous wealth, Buffett exhaustively studied the stock market and the world of commerce, learning everything he could about individual companies and their potential for growth and earnings. This hard-earned knowledge has been his guiding light and his path to becoming the richest man in the world. As a former superstar research analyst, Schroeder uses her expert knowledge of finance and commerce to detail Buffett’s investment philosophy and business activities. By 1956, at only 26, Buffett had $174,000 and planned to retire and live off the investment income that he could make from his nest egg. Buffett was managing at least a million dollars a year by 1958. In 1962, Buffett merged his partnerships into Buffett Partnership Ltd, or BPL, with assets of $7.2 million. Buffett was now a millionaire. As the years progressed, Buffett continued to expand his fortune along with those of his partners and fellow investors. By 1983, the Buffetts were worth $680 million and he was a billionaire by 1985. 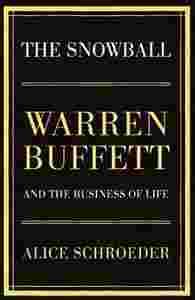 Year after year, Buffett’s fortune (his “snowball") grew exponentially. By 2008, he was the richest man in the world. Throughout his climb, he watched his expenses and invested carefully, always investing his profits and letting his funds appreciate at compound interest. Buffett never allowed the fickle stock market to dictate to him, particularly when it plunged into high-tech. He freely admitted he didn’t understand it, saying, “The software business is not within my circle of competence… We understand Dilly Bars and not software". Thus, he avoided high-tech’s bubbles, booms and busts. Instead, Buffett dictated to the market. GetAbstract praises Schroeder’s remarkable skills as a researcher and writer. Her book is packed with fascinating details and trenchant observations about the “Oracle of Omaha", whose story is the classic American tale of hard work that pays off beyond all expectations. How the kid who wanted to make a million actually did that—and more—is a truly amazing tale. One of the best business biographies available, this book shows how the world’s greatest investor amassed the world’s greatest fortune while staying true to himself. Rolf Dobelli is the chairman of getAbstract.